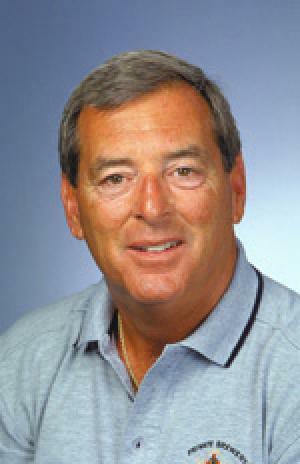 Frank Urban “Fuzzy” Zoeller, Jr. is a professional golfer born on 11th November 1951, in New Albany, Indiana USA,, who is best known as he has won ten PGA Tour events, two major championships in the 1979 Masters, and the 1984 US Open which brought him the Bob Jones Award the following year. He is also one of three golfers who has won the Masters Tournament in their first appearance in the event. Have you ever wondered how rich Fuzzy Zoeller is? According to sources, it has been estimated that Zoeller’s overall net worth is over $10 million, accumulated through an extraordinarily successful golf career, which he started in the early ‘70s, and various sponsorship deals. Since he is still an active golfer on the Seniors Tout, his net worth continues to increase. Fuzzy attended New Albany High School where he already showed his talent in golf, and finished as the runner-up in the 1970 state high school tournament. He then enrolled at Edison Junior College in Florida, but soon transferred to the University of Houston. In 1973, he became a professional, practicing golf and starting his successful career. In the following years, Zoeller won two majors in playoffs: the Masters at Augusta National Golf Club in 1979, and the U.S. Open at Winged Foot Golf Club in 1984. It was in 1979 that he became the first golfer since 1935 to win the Masters in his first appearance in the event,. In 1983 he had his best finish in the US PGA Championship, in 2nd place. In 1985, the United States Golf Association awarded Fuzzy with their highest honor, the Bob Jones Award. Nearly ten years later, at the 1994 British Open Championship, Zoeller finished in 3rd place, which was his best-ever finish in this tournament. He also joined the Champions Tour, and won the Senior PGA Championship in 2002, and two years later won the Masters Card Championship. In addition to playing the game, Zoeller has so far designed nineteen golf courses, and three of them have been utilized on the PGA Tour. This work has also contributed to his net worth. Apart from his sports career, Zoeller founded and started selling his own brand name “Fuzzy’s Vodka” in 2009. The brand eventually started sponsoring Ed Carpenter Racing’s entries in the Indy Car Series. However, Fuzzy has also been known for his often used critical humor about his colleagues on the golf course. One such situation was at the 1997 Masters Tournament, when he made a racist remark regarding Tiger Woods, led to K-Mart and Dunlop ceasing their sponsorship. Zoeller later offered an apology directly to his colleague, which Woods accepted. When it comes to controversy, Fuzzy has sued a foreign-credential evaluation firm, Josef Silny & Associates, for false statements which had appeared in the Wikipedia article about him, in December 2006, which originated from that firm’s computer. The statements suggested Zoeller committed domestic abuse, and consumed both alcohol and drugs. Privately, Fuzzy is married to Diane Thornton Zoeller, with whom he has a son and three daughters. In his free time, he enjoys hunting and fishing.